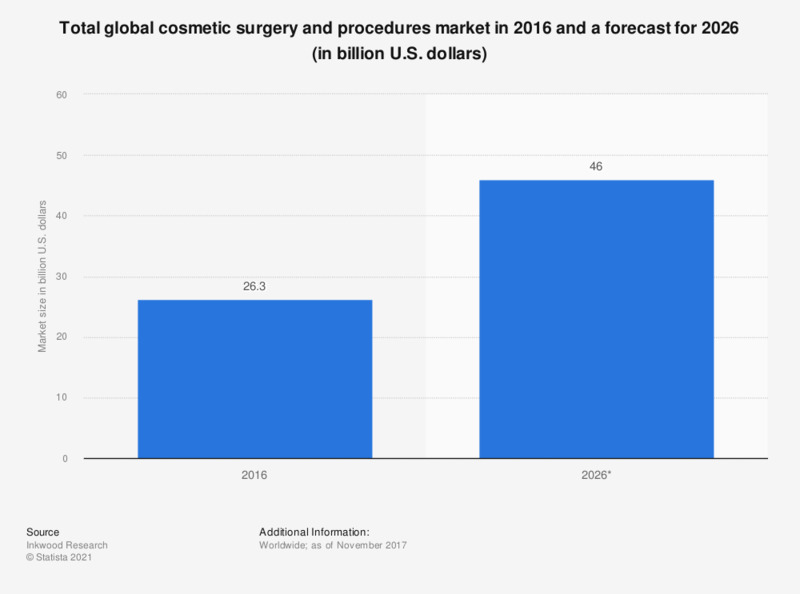 This statistic displays the size of the global cosmetic surgery and procedures market in 2016 and a forecast for 2026. In 2016, the market was valued at some 26 billion U.S. dollars. By 2026, it is expected that the market will increase up to 46 billion dollars. Could you imagine undergoing cosmetic surgery (again) in the future for aesthetic reasons?